Revel is snap-on fashion for Apple Watch. Slim-fitting, Revel clips on easily and provides 360 protection from scratches and scrapes. 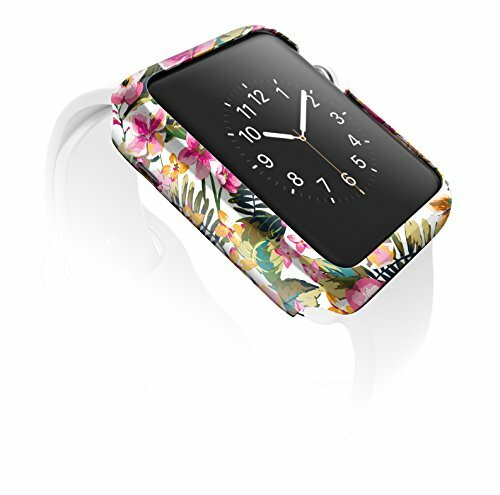 Made from durable polycarbonate and featuring vibrant, fashion forward prints, Revel is the perfect way to protect and personalize your Apple Watch. Revel does not obstruct the Digital Crown or Side Button, so you can protect your Apple Watch and keep full access to all features and functions. X-Doria Warranty covers defects both in materials and workmanship that result in failure during normal usage. Our warranty is valid when purchased from an authorized reseller and to the original purchaser of the product. The warranty period starts from the original date of purchase.